Muffin Hostel v Salzburk, Austria: Zarezervujte nyní! Here is where the modern meets the ancient. 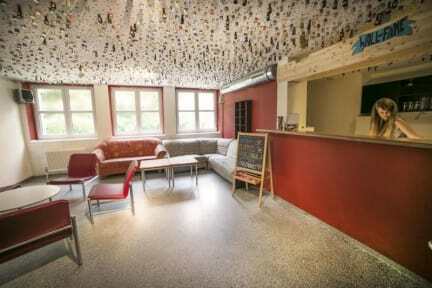 Muffin is the brand-new hostel in the city listed as UNESCO World Heritage Site. Run by young yet experienced staff is there to make your stay in Salzburg an unforgettable one. We are what you want us to be. With the perfect location (only 15 minutes on foot to the very centre) Muffin can be your base from which you head off to explore the old & new of the town. At the same time, situated in a quiet lovely neighborhood it can turn out to be your escape from the hassle of travelling. 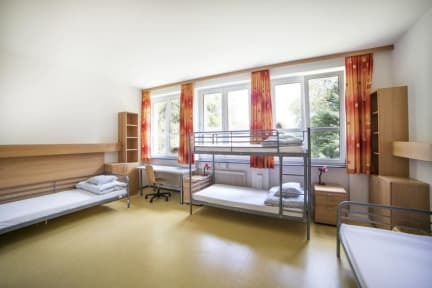 Clean and cozy rooms provide the much desired privacy while knowledgeable and fun loving staff are there to help you out with any concerns you might have. We are here between 10th July and 3rd September. Don't wait any longer, go on and book a bed! * The biggest outdoor swimming center in Salzburg 'Freibad Leopoldskrone' is just 3min away! If cancelled up to 2 days before the date of arrival, no fee will be charge. If cancelled later or in case of no-show 100% of the booking amount is charged. Breakfast available between 12th July - 10th August for 7 euro extra. I was absolutely happy. The hostel is in a quiet and safe location, still only 10 min walk from the city center. The staff was always helpful and smily. I was surprising how quiet the place is and it sort of influences also the visitors, they were all respectful, we switched off lights at 11pm! :) so a quiet night and a good sleep. The garden is amazing! Thank you so much, keep going like this..